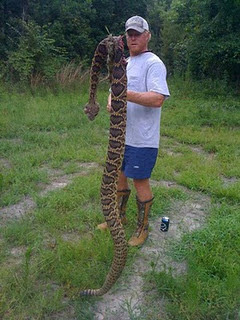 A blog dedicated to the education of the plight of North America's most vilified creatures......SNAKES! 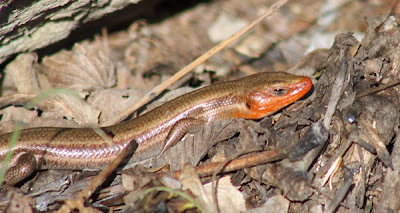 Lizards are not real common in NW Missouri where I live. In fact we are pretty much limited to a few skinks and a racerunner. Typically the species that we see most frequently are the 5-lined skinks (Plestiodon fasciatus). They are commonly found under rocks, leaf litter, log piles or other refuges that make hiding easy. If water is nearby so much the better. In years of extreme drought like we've experienced the last couple of years they are much harder to find. While sweeping the porch off the other day a juvenile 5-lined skink darted out from under the welcome mat and disappeared in a crack in the foundation of the house. This caused my husband who was standing nearby to jump back a few feet as it startled him.....which made me laugh. 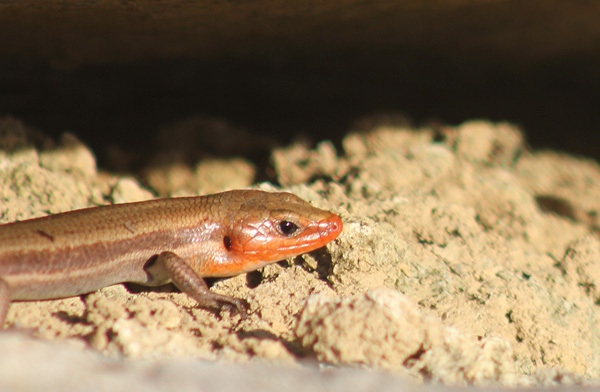 This tiny lizard, barely 4 inches in length caused a grown man a moments fright. His excuse was he didn't know what it was. I think he thought it was going to go up his pant leg, which I must admit would have made me howl in laughter had it happened. All that was seen was a streak of blue as it vanished. 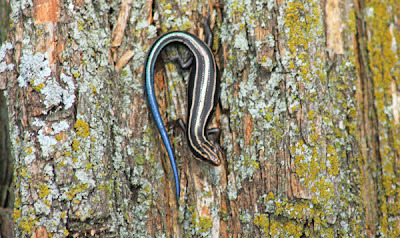 As juvenile lizards they have a gorgeous bright blue tail and bright highly visible stripes. As they age these stripes fade as does the blue tail. 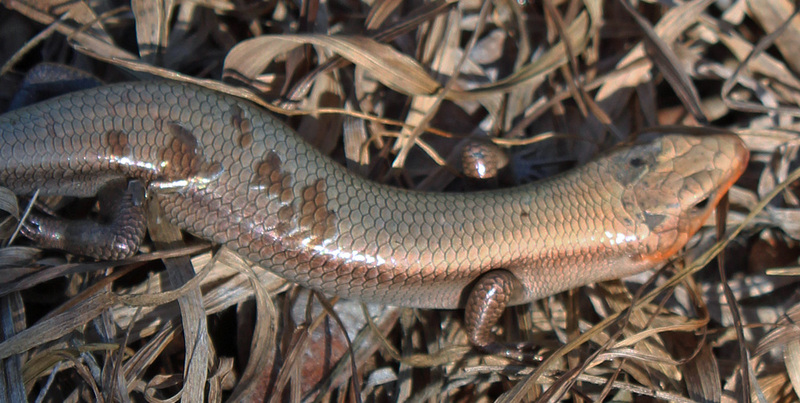 These skinks are relatively small for lizards and may reach lengths up to 8.5 inches from the tip of their nose to the tip of their tail. Adult males are typically larger than females. Females usually retain some of the striped pattern from their juvenile stage, although it will be faded whereas males become almost uniform brown or olive-brown in color. Some individual males in certain populations may retain some visible stripes. The most distinctive feature of the male is his bright orange head during breeding season. Mating takes place in early spring, usually in April. The female will lay eggs in May or June. She will choose a nesting site with appropriate moisture and seclusion. This will typically be inside rotting logs or under log piles or stones. She will remain with the eggs, guarding them from potential predators.This increases the survival rate of her offspring, even though it may put her in some increased danger of predation. Several days after the eggs hatch she will leave the young and they will remain on their own armed with all the survival skills they need. Providing predators do not capture them they will live several years. Males can be very aggressive when defending their territories. They will chase other males off or stand their ground and fight. It is not uncommon to see males with battle wounds from tangling with other more aggressive males. While males are intolerant of other males within their territory, they do tolerate females and juveniles and show no aggression towards them. 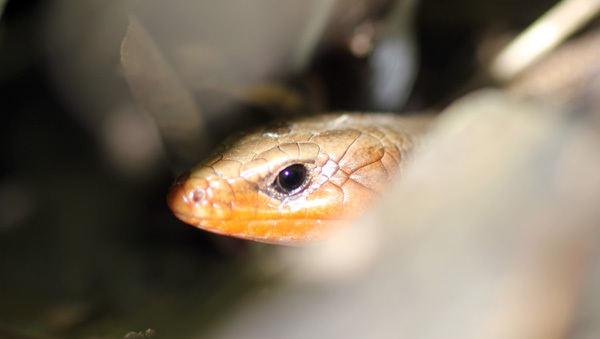 I recently spotted a skink under a piece of tin at our farm. Its skin looked rather odd and I could not decide if it was injured, covered in fungus or trying to shed. I shared the photos with several experts and all agreed that it was shedding. 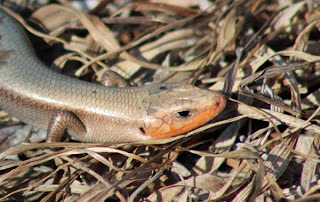 Like snakes and other reptiles skinks will shed their skin. Shedding depends on how much they are eating and growing, as well as on whether or not they have incurred some sort of injury that damaged the skin. 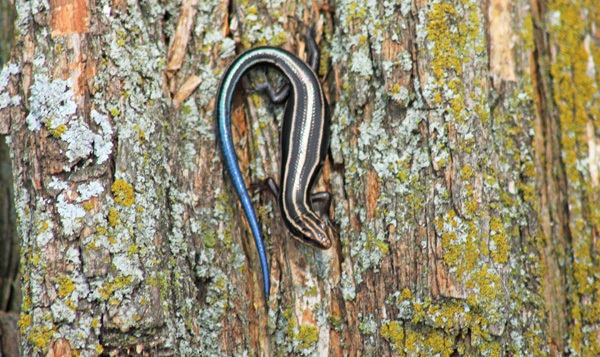 5-Lined skinks range throughout eastern United States and are very common in Missouri. They require no special conservation status. In Canada they are classified as endangered and it is illegal to own one. In Missouri you can own one as a pet and they are relatively easy to care for, although somewhat secretive. They feed on a wide variety of insects and spiders. They are also preyed upon by a wide variety of predators, including skunks, snakes, raccoons, birds, turtles, shrews, domestic cats and many others. 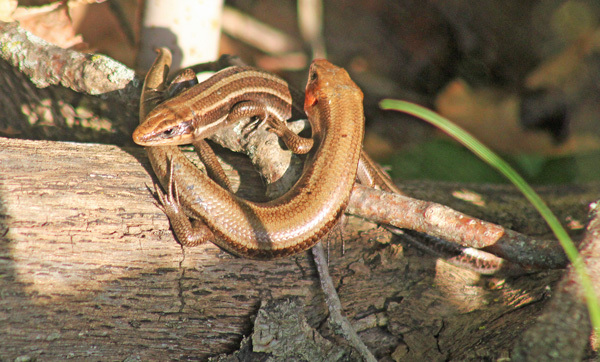 These small lizards are an important component in the food chain where they occur, whether as prey or predator. These fast moving lizards are sometimes difficult to see, but with patience and perseverance you will be rewarded with being able watch one carrying out its daily habits. 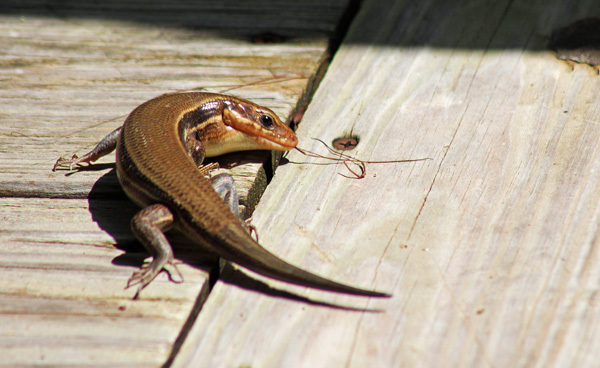 Whether it is stalking food, chasing off a potential threat or pursuing a female to mate with these lizards or interesting and fun to watch. 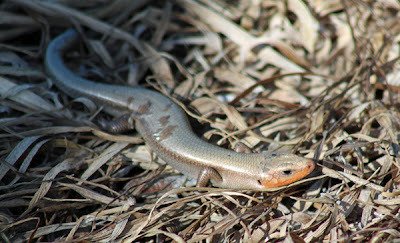 While it is legal in Missouri to make a pet out of one of these lizards, try to refrain from taking one home and instead leave it be and enjoy the knowledge that they are intriguing and unique inhabitants to the ecosystem where they occur. This group is primarily dedicated to getting restrictions placed on rattlesnake roundups in order to ensure sustainable populations. We, as conservationists, understand that a realistic balance between biologists and the public needs to be met so that the communities dependent upon these events will not be left economically unstable. 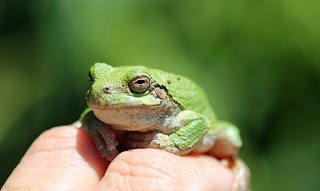 We also promote the significance and humane treatment of all herpetofauna. WE ARE NOT AN EXTREMIST GROUP. WE WILL APPROACH GROUPS IN CHARGE OF SNAKE HUNTS WITH RESPECT IN ORDER TO GET RESPECT. WE USE SCIENTIFIC PUBLICATIONS AS THE BASE OF OUR ARGUMENTS, NOT UNCONTROLLED EMOTIONS. We endorse the position of The American Society of Ichthyologists and Herpetologists. 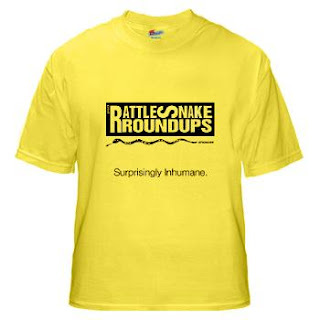 Show your support for Rattlesnake Round-up reform by ordering your very own awesome t-shirt today. 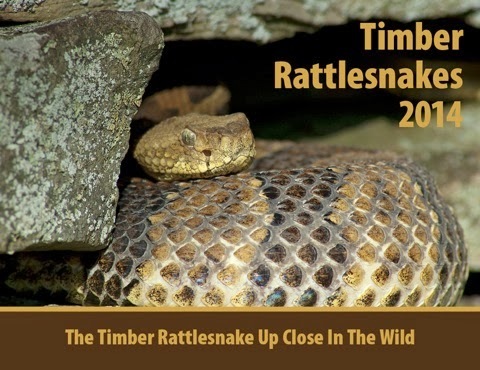 2014 Timber Rattlesnake calendars are now avialable. Don't miss out!!! Need a unique gift for the snake lover in your life? Why not a beautiful full color calendar featuring the Timber Rattlesnake? Also available is a 20 minute DVD featuring Timber rattlesnakes in the wild. A magazine for all the herp lovers out there. Full color issues full of photos and valuable information. Subscribe to a full year (6 issues) of Herpetoculture House eZine & get our annual free! Below is our inaugural year in review which is available now!